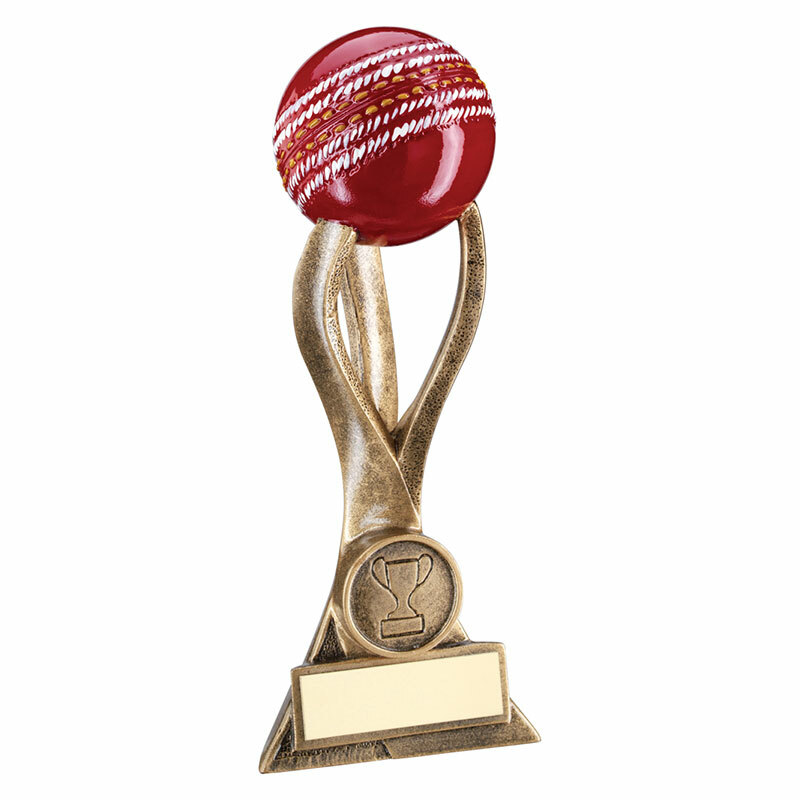 A realistic looking resin cricket ball award that features a detailed 3D model of a cricket ball set on three twisted stumps and mounted on a bronze coloured stand and base with engraving plaque. The stand includes a 1in centre showing a cricket scene. 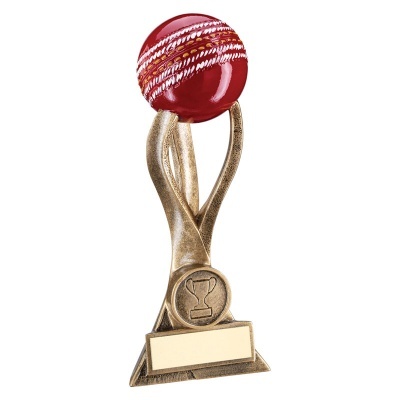 Standing 8.5in tall, and offered at very competitive prices for such a quality award, these cricket ball trophies are offered with low, fixed-cost text engraving of the base plaque.